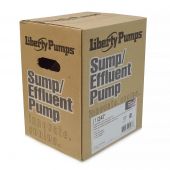 Liberty Pump 247 is 1/4HP Automatic Submersible Sump Pump with with magnetically operated vertical float VMF switch and 10ft power cord. 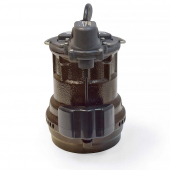 It can operate in a smaller 10" diameter sump pit. 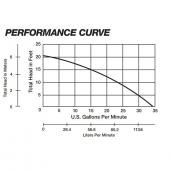 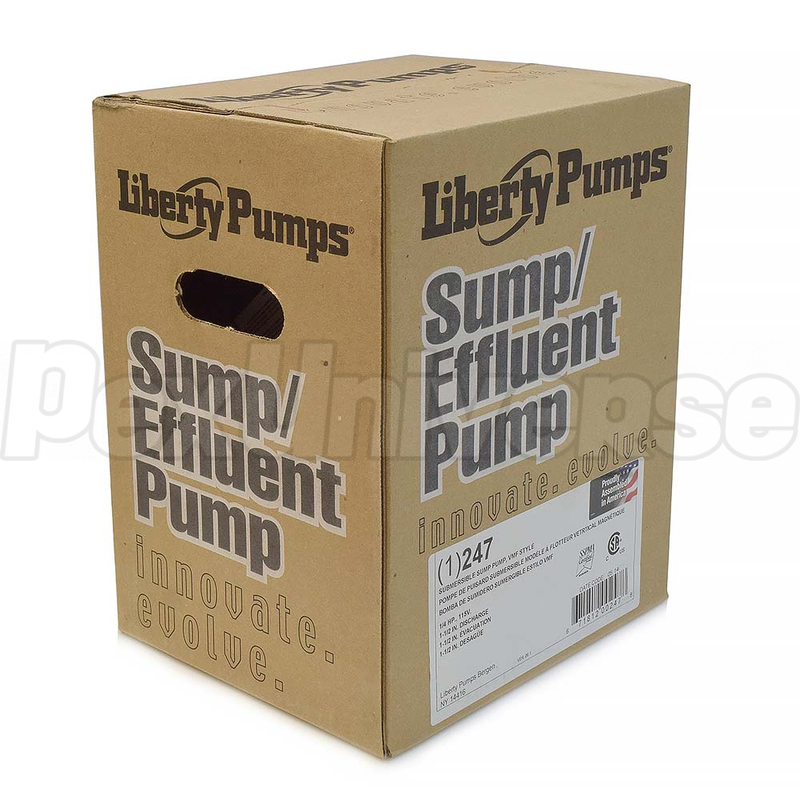 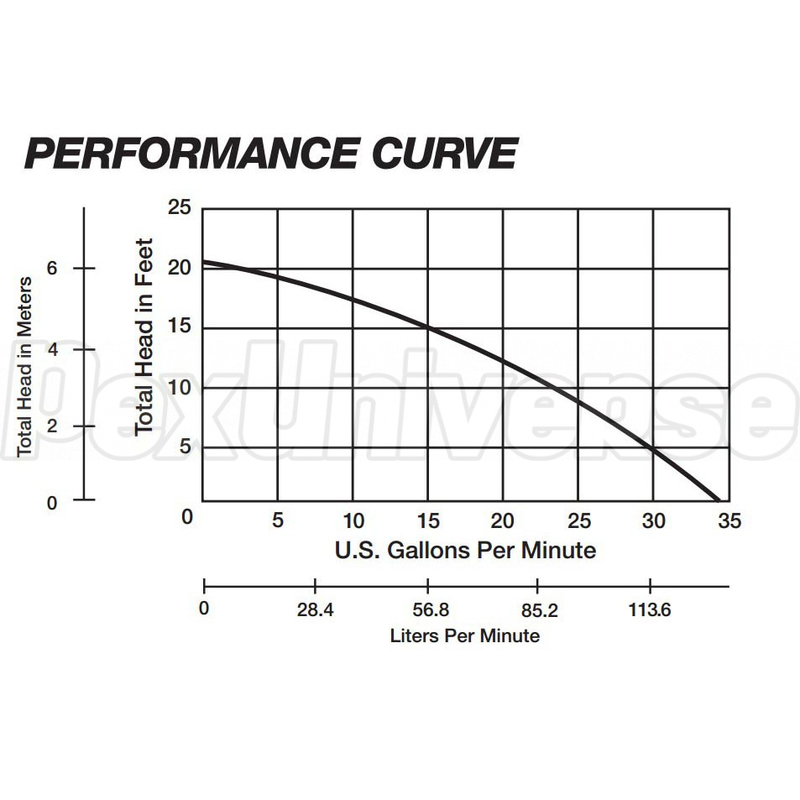 The Liberty Pump 247 has 1-1/2" NPT discharge, 1/4" solids-handling, 20' max. 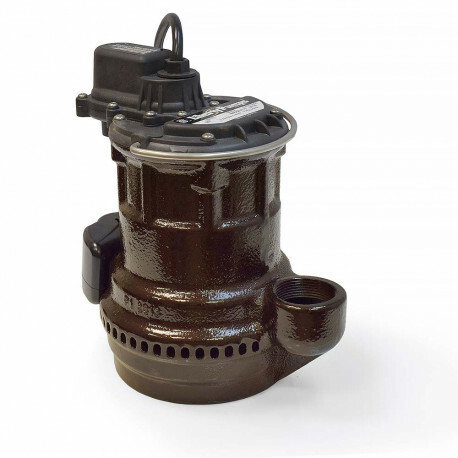 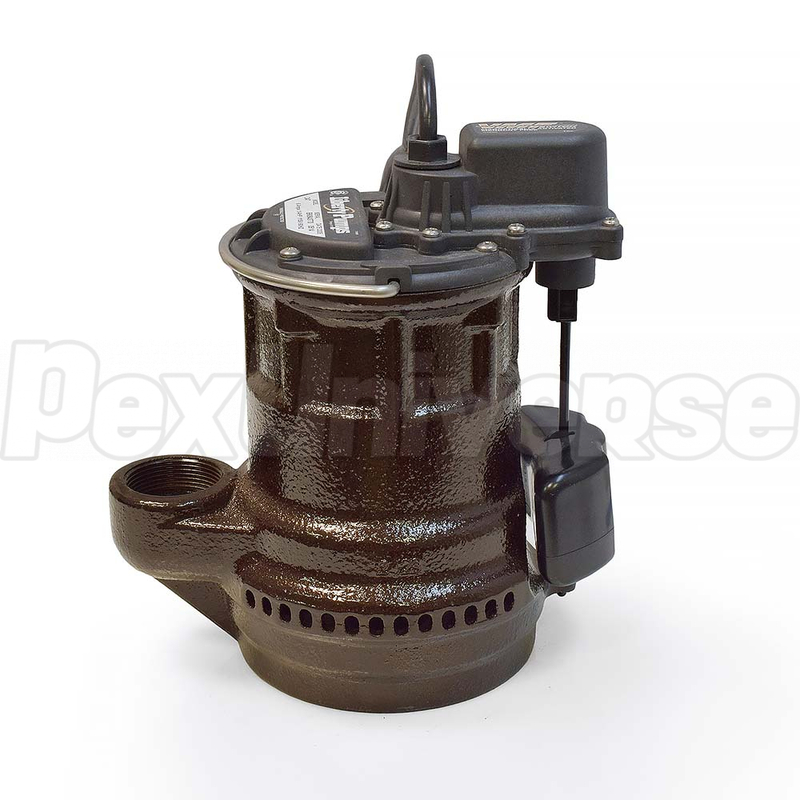 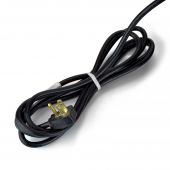 lift, a unique one-piece cast iron housing with peripheral port suction and thermally protected & permanently lubricated motor.